Concrete Cutting servicing the plumbing, electrical, building, civil, marine, residential and demolition industries. Big Cut Sawing & Drilling is a specialised Concrete Cutting, Concrete Drilling and Concrete Scanning company that has built its business on Reliability, Honesty, Safety and Competitive Rates with over 25 years of experience in the industry. In 2001, Big Cut Sawing expanded its services throughout Victoria and in 2009 Big Cut Sawing & Drilling began taking on special projects across Australia and now with offices based in Melbourne and Brisbane, Big Cut Sawing & Drilling has the capabilities of servicing the surrounding regions. Specialising in remotely operated sawing and utilising the most streamline of technology, our services range from but not limited to bridge demolition, wharf construction and rehabilitation, large infrastructure projects such as dams, water treatment plants and major road projects. 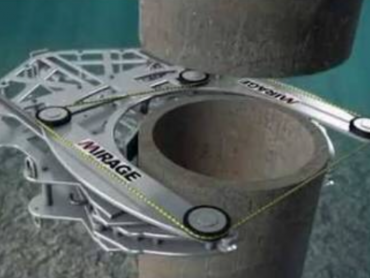 Big Cut Sawing & Drilling provides concrete scanning, analyzing to interpret what’s beneath the concrete and quickly locate and document the position of post tension cables, conduits, pipes, and rebar buried inside a concrete slab. A specialised service provided by highly trained operators servicing the East Coast of Australia, Tasmania through to Cairns and surrounding areas. Big Cut Sawing & Drilling is a fully licensed and insured company providing a diverse range of Concrete Removal and Concrete Demolition services. Whether your renovating your own home, removing your swimming pool or have a major project requiring certain needs, with over 25 years of experience in the industry, we have the experience, knowledge and technologically advanced equipment to solve any problem and complete any job, big or small, from start to finish. Our aim is to provide our customers with service, advise and satisfaction in what we do best. It all starts with concrete cutting and how it is measured before the work takes place. A certified professional will be able to complete these measurements and set things up the right way. The team is meticulous in its approach and takes concrete cutting seriously. The best materials and equipment options are used to manage each project. This guarantees the cutting is ideal, optimized, and in line with what’s required. A professional will be tasked with the job of handling your project and making sure it comes out as intended. Concrete cannot be mismanaged, or the results are always poor and not worth one’s time. Clients looking to cut concrete will know it has to be done with a high level of care or things will fall apart. To guarantee the handling of concrete and how it is cut, take the time to go with this team. Everything will be managed the right way, and nothing will be overlooked. This is one of the best ways to feel good about the approach taken. For those who are looking to pursue a professional core drilling service, this is the team to choose because it has been working in the region for years. Our clients know they are going with a local core drilling option that is vetted and can do a great job around the clock. This is the best way to ensure you are not taking risks as a client and getting the project on track as soon as possible. Those who want appropriate results have to take a look at what this group brings to the table for all core drilling needs. Concrete drilling has to be carried out professionally, efficiently, and in time. Those who are looking to set up a schedule will know it is going to require the right approach. If this is overlooked, the results are just not going to do it. Concrete drilling is all about the details, and this is what you are going to push for. Those who want to optimize their approach should look at this team for all it has to deliver. The concrete drilling will be efficient, safe, and modernized. Saw cutting requires the right tools and equipment otherwise the results are not going to be efficient. This team has the best tools on hand and takes the time to analyze a project before cutting. This is what ensures the client gets what he/she is looking for and the results are ideal. This is important for anyone that wants perfection. Wire sawing is a specialized task and has to be done by a certified professional. Those who don’t want to take any chances and wish to pursue a safe option will know this is the team to go with. The company has been working for years and offering wire sawing services with exceptional reliability. With core drilling or saw cutting, there is nothing more important than customization. 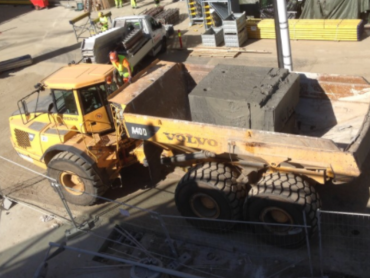 A client will have specific requirements when it comes to the concrete and how it is handled. This is natural and a big reason for choosing a qualified team for the task. The team will make sure everything works out, and the results are in line with what is required. No one should have to go with a concrete cutting option that is mediocre or doesn’t do enough to justify the price being paid. This team will go the extra mile in this regard and ensure everything is perfect.